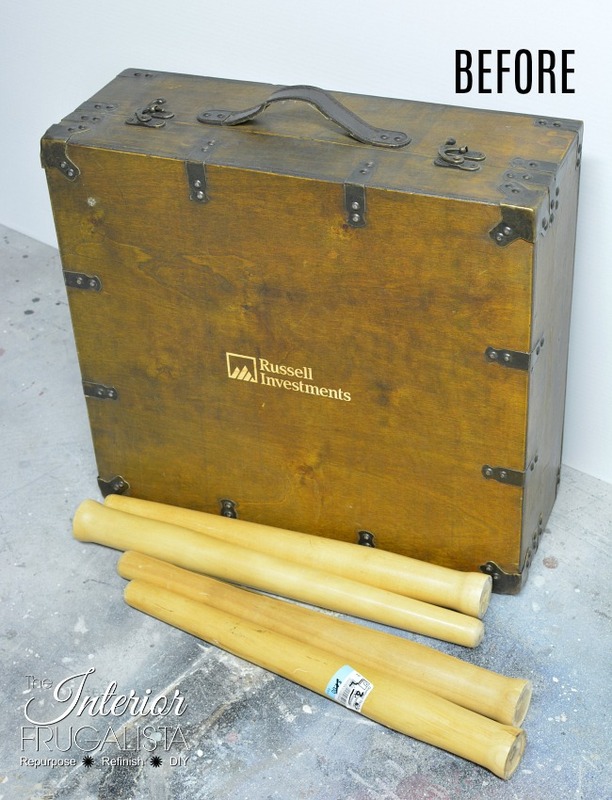 What do you do when browsing the aisles of Goodwill and come across a fabulous rustic wood case with lovely aged metal hardware and worn leather handle? Then you notice the wood lid of the trunk is etched with a company logo. But the price tag on the case reads $2. Do you keep walking? Mr. Frugalista knows me too well and figured I wouldn't let something like a logo stop me from turning this lovely case into something useful. 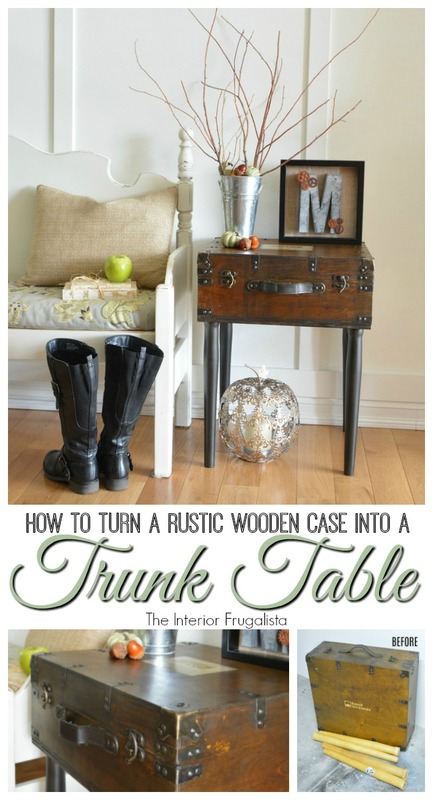 Today I'm sharing how to turn a rustic wooden case into a trunk table. Look at the rustic goodness of this case and I just happen to have the perfect set of legs in my stash. Here is where I'll forewarn you that I went picture happy in this post. 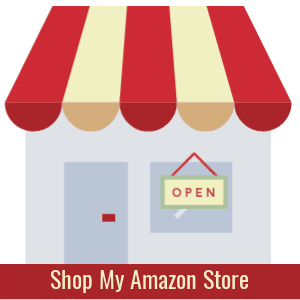 You may want to grab your favorite beverage before reading further. 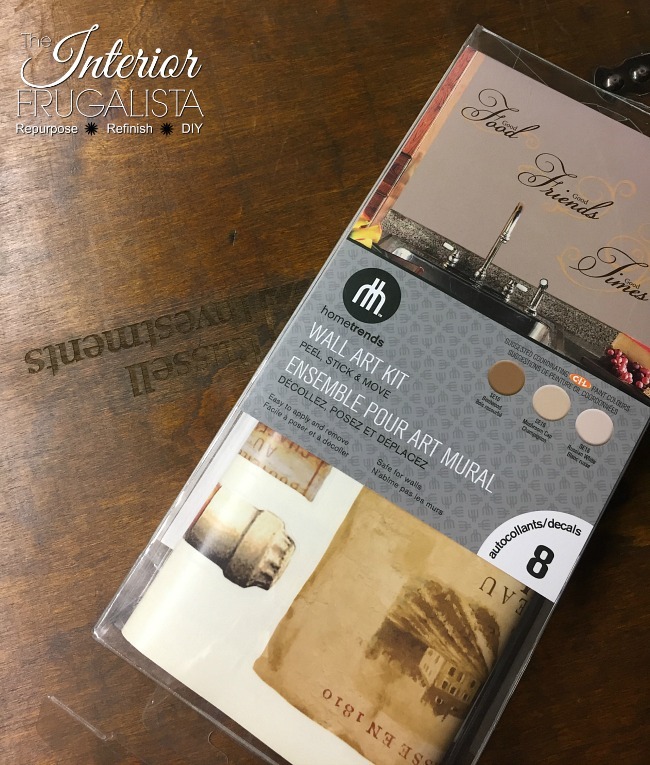 I've included a video tutorial below if reading a written tutorial isn't your preference. Those perfect long legs from my stash have one problem, the screw stems (whatever they're called) are an odd size and too large to fit into either vintage or new metal leg attachment plates. Onto Plan B, how to attach the legs to the trunk. 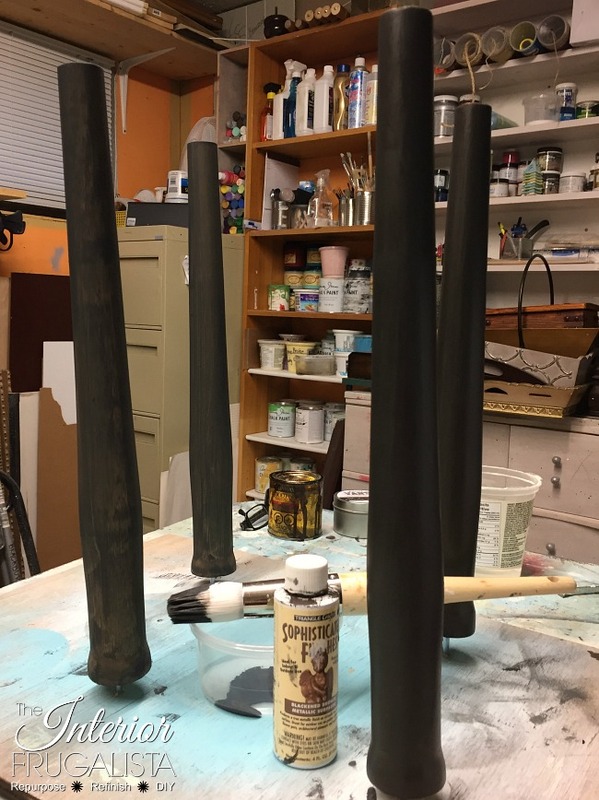 Sand the glossy finish from each leg with 150-grit sandpaper. 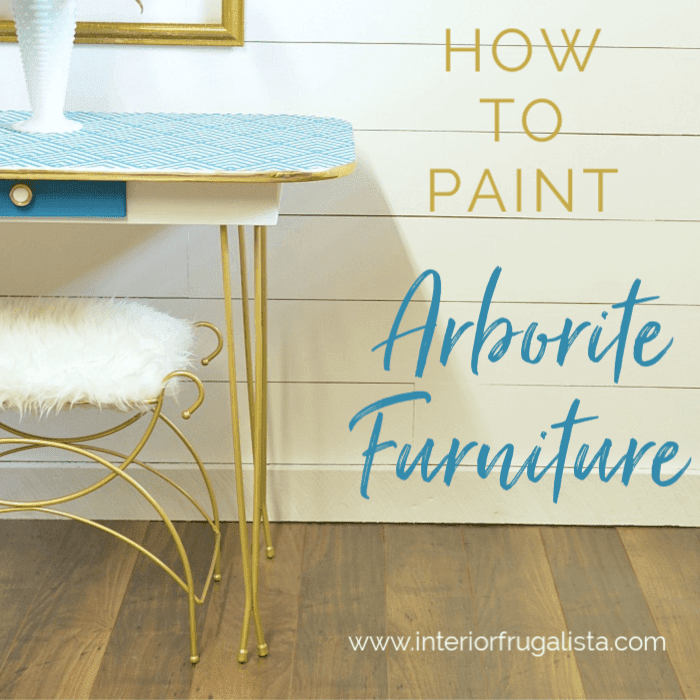 Then paint the legs with one coat of chalk paint, mine were painted with Annie Sloan Chalk Paint in the color Graphite. 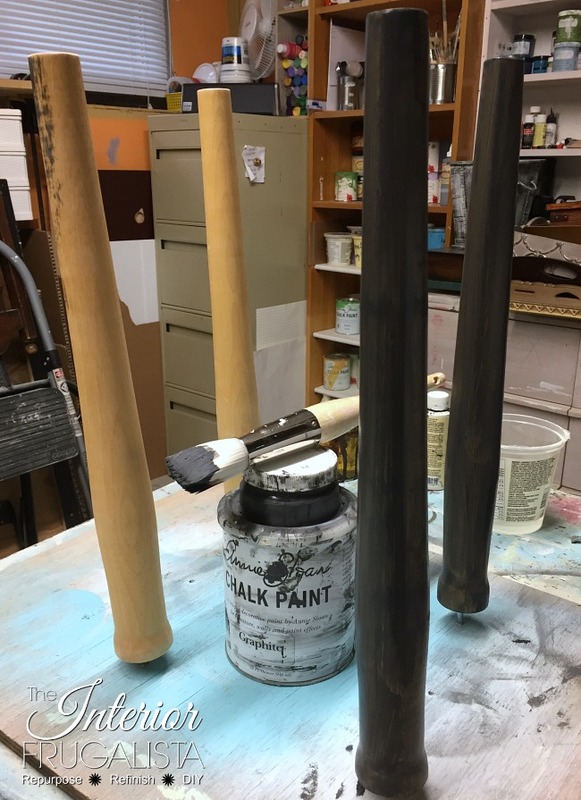 Next, add a coat of metallic blackened bronze paint to echo the bronze finish on the hardware of the case. The bottom of the trunk is much too thin to attach legs and have them sturdy, so the base needs to be beefed up. Trace the bottom of the case onto a sheet of 3/4-inch plywood and cut it to size. Mr. Frugalista cut mine on the table saw for me. Sand the plywood with a mouse sander (or whatever sander you have on hand) and an 80-grit sanding pad to a smooth finish. 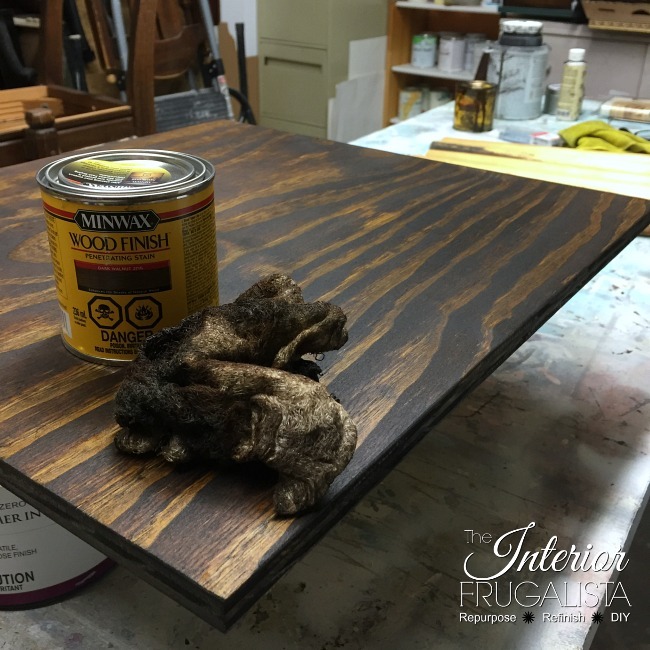 Give just one side of the plywood and the edges two coats of dark walnut stain to match the wood on the case. 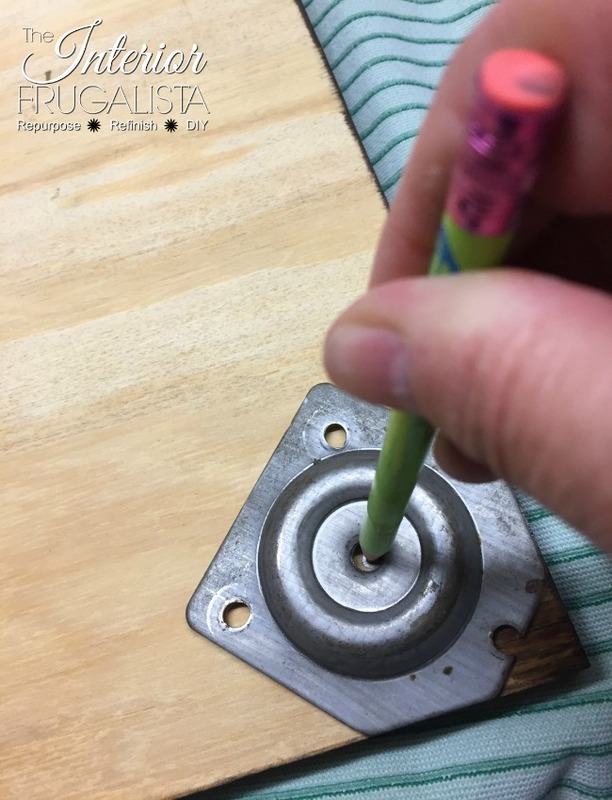 Next, to figure out the placement of the legs an easy way to do it is by tracing the center hole on a metal leg attachment plate on each corner of the unstained side of the plywood. Drill a small pilot hole through the plywood on the mark created in the previous step. 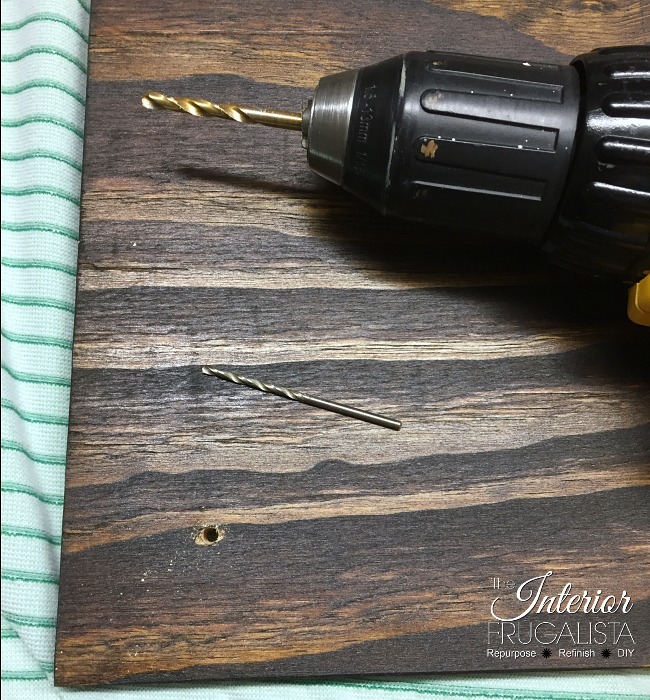 To avoid splinters when drilling the holes, drill from the stained side of the plywood using an 11/64 drill bit. 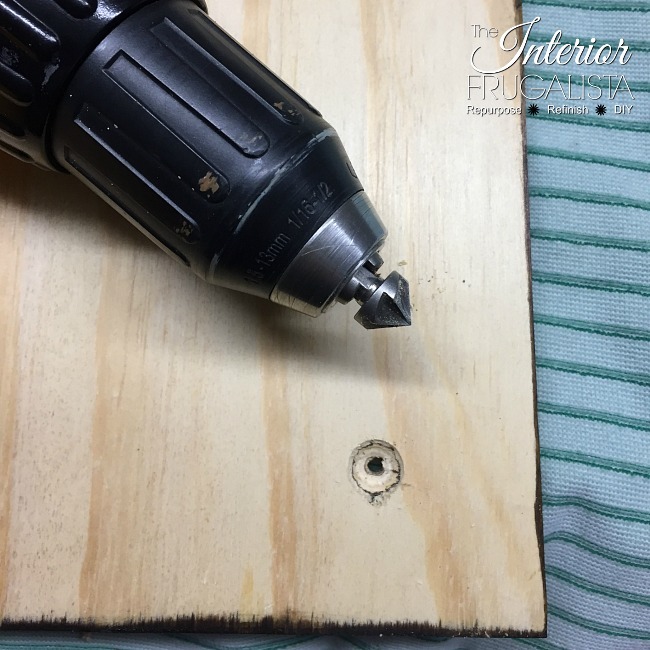 For the head of the screws, to sit below the surface of the plywood, countersink the holes with a 3/30 countersink drill bit. This will ensure there is no gap between the top of the base and the bottom of the case when they are attached. Attaching the legs to the plywood base is a two-man job; one person to hold the legs in place and the other to attach them with the drill. The trick is going easy on the drill once the bit hits the legs to avoid spinning. Ask me how I know. 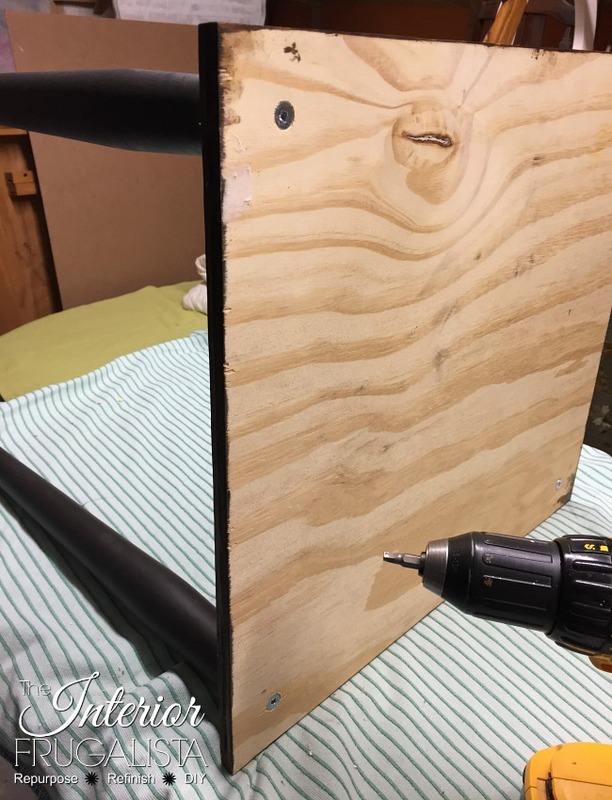 From the unstained side of the plywood, attach the legs with #14 x 4" wood screws with a Robertson drill bit. Now that the legs are attached to the base it's time to attach it to the case. 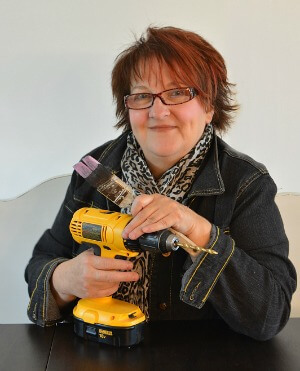 First, apply a generous amount of construction adhesive onto the exterior bottom of the wood case. Line up the plywood base onto the bottom of the wooden case and hold it in place with bar clamps. Carefully flip the table right side up and check to make sure everything is still lined up properly. 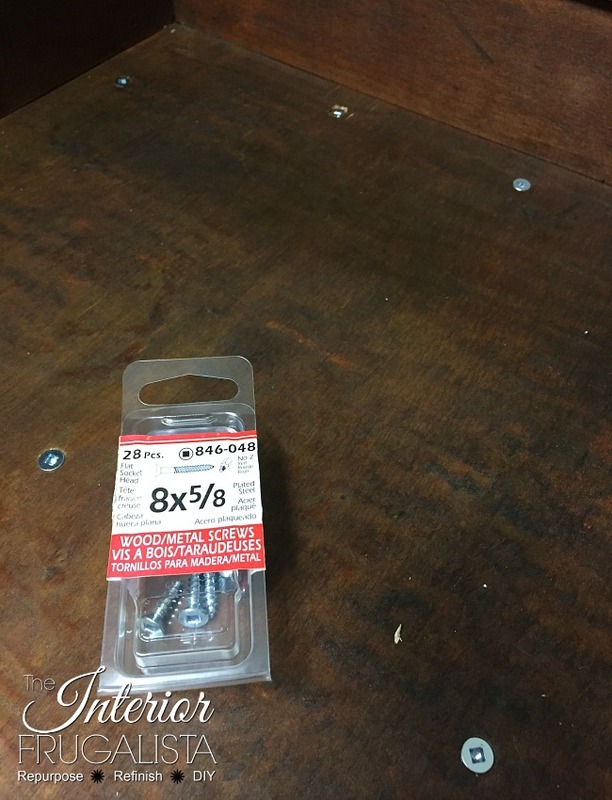 From the inside of the case, use #8 x 5/8 wood screws to secure the base to the case and then remove the clamps. The screws will be hidden but more about that next week. Remember we had that etched logo issue on the lid? When I stained the plywood base I also stained over the etched logo using a cotton swab. This darkened the logo, making it a little less visible but unfortunately not invisible. The wood was faded and dry and I thought about using hemp oil to revive it but there is a product I've been wanting to try for months. 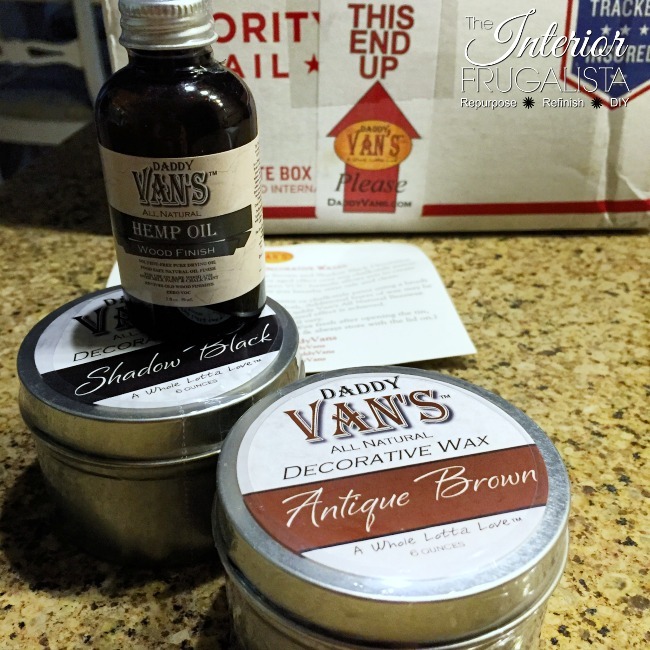 Earlier this year Brenda from Unique Junktique was offering a giveaway of Daddy Van's Products in her Friday's Furniture Fix weekly series and I was the lucky winner! 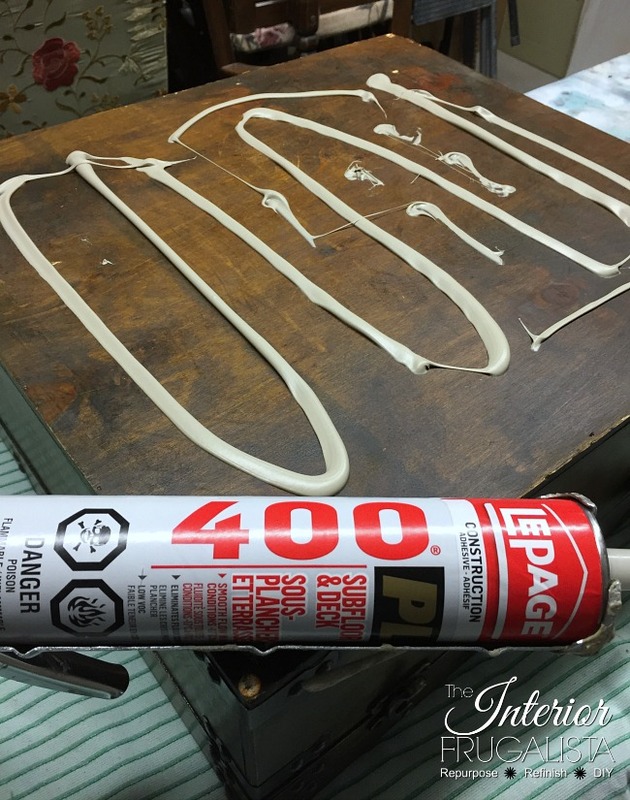 I was surprised by how little I had to buff the wax to a soft smooth finish. 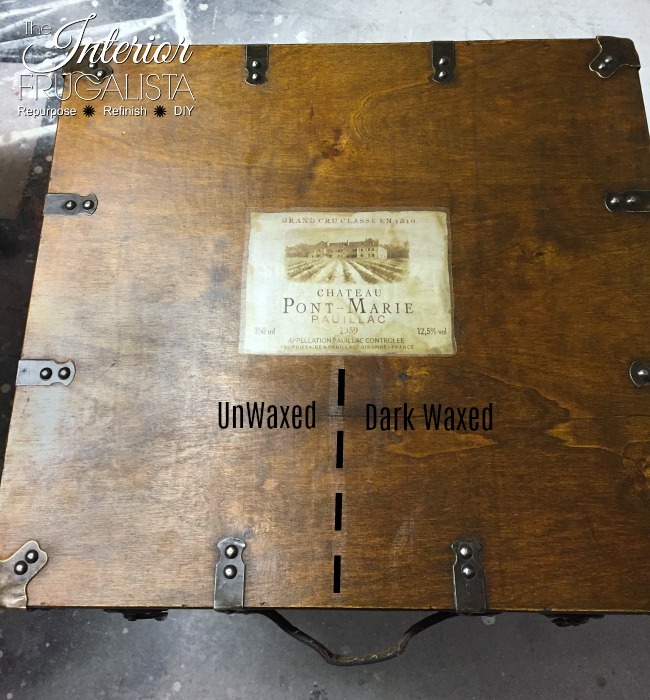 It's quite lovely and I can't wait to try the antique bronze wax next. I love how the dark wax collected around the edge of the decal, adding to the aged appearance. I will be sharing what I did with the inside of the trunk next week so stay tuned. 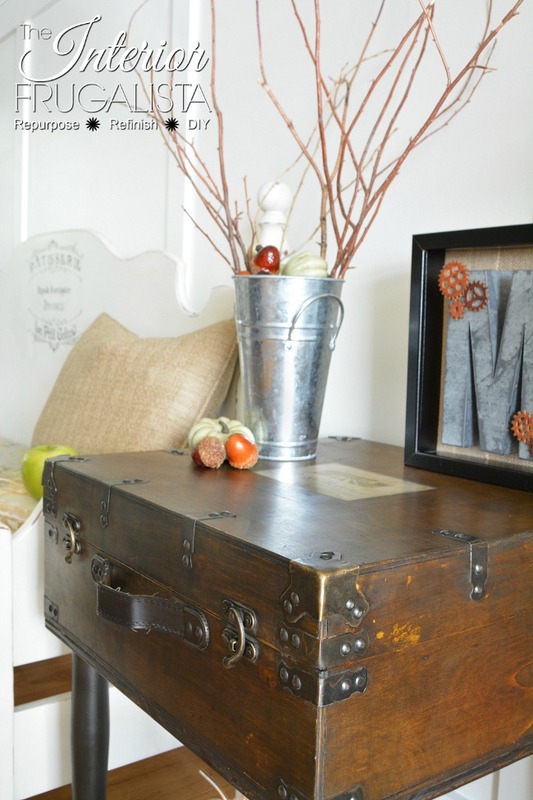 Until then, if DIYing a trunk table isn't an option for whatever reason, I found some fabulous ready-made trunk tables online. 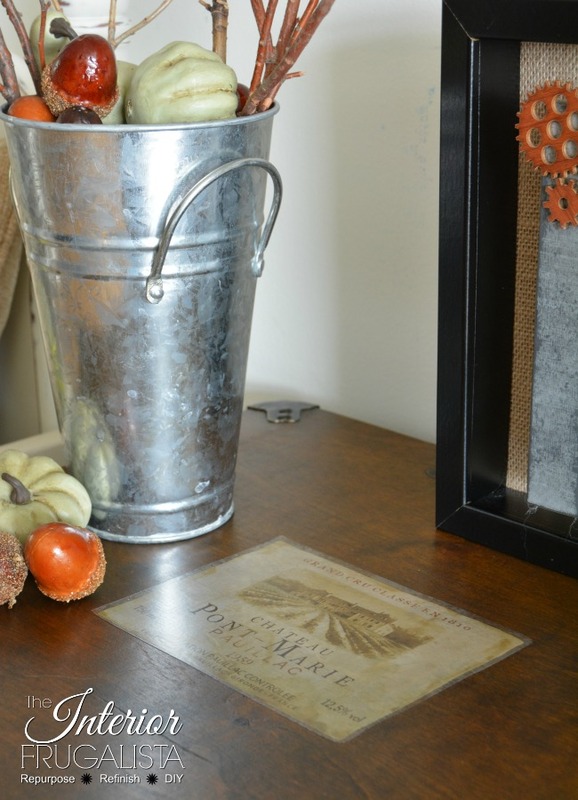 If you enjoyed my tutorial on How To Turn A Rustic Wooden Case Into A Trunk Table, please share it with a friend and/or save it on Pinterest. 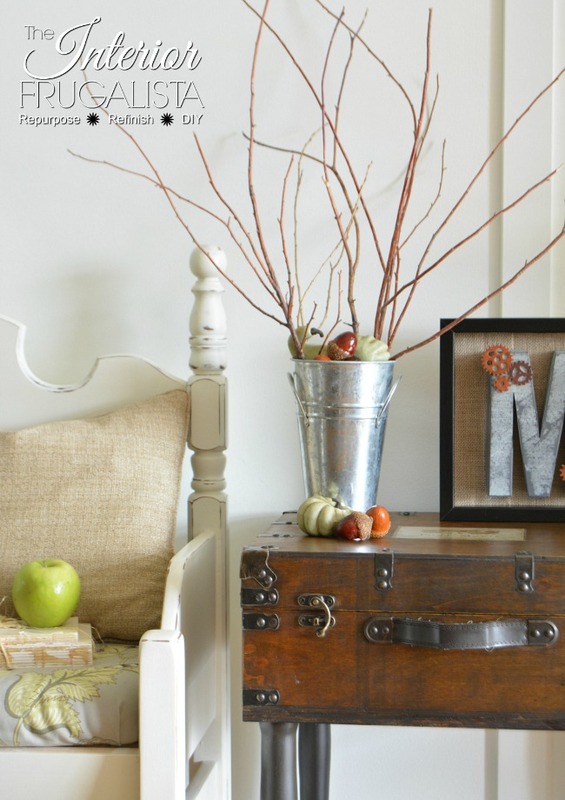 Have you ever turned an old trunk or perhaps a vintage suitcase into a table? If so, I'd love to hear about it in the comment section below.